An investigation of the people who laid the groundwork for Virginia's miscegenation law reveals that the pseudo-science of eugenics was a convenient facade used by men whose personal prejudices on social issues preceded any "scientific theory. "� Stated more bluntly, the true motive behind the Racial Integrity Act of 1924 was the maintenance of white supremacy and black economic and social inferiority-racism, pure and simple.� It was an accident of history that eugenic theory reached its peak of acceptability in 1924 so as to be available as a respectable veneer with which to cover ancient prejudice.� For Powell, Plecker, and their ilk, eugenical ideology was not a sine qua non for legislation, but merely a coincidental set of arguments that provided intellectual fuel to the racist fires. Paul A. Lombardo. "Miscegenation, Eugenics, and Racism: Historical Foonotes to Loving v. Virginia,"�University of California, Davis Law Review.�1988, Volume 21, Number�2, pages 421-452. http://lawreview.law.ucdavis.edu/issues/21/2/essays/DavisVol21No2_Lombardo.pdf. 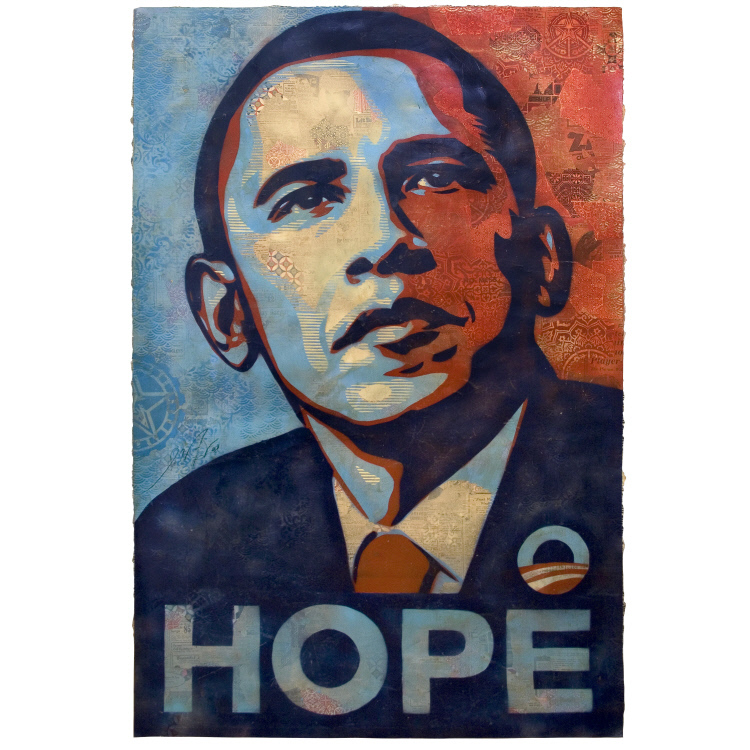 Shepard Fairey’s Barack Obama Hope poster became the iconic campaign image for the first African American president of the United States. Early in 2008, the Los Angeles–based graphic designer and street artist designed his first Obama portraits, with a stenciled face, visionary upward glance, and inspiring captions. The artist’s intention that the image be widely reproduced and “go viral” on the Internet exceeded his greatest expectations. Campaign supporters and grassroots organizations disseminated tens of thousands of T-shirts, posters, and small stickers; Fairey himself produced mural-sized versions; and a free, downloadable graphic generated countless more repetitions. In this fine-art version of that unprecedented and powerful campaign icon, Fairey incorporated the familiar heroic pose and patriotic color scheme. But he translated the portrait into a collage with a rich, elegant surface of decorative papers and old newsprint. In 1967, the Supreme Court decision Loving v. Virginia overturned all laws outlawing interracial marriage. The Loving Generation tells the story of a generation of Americans born to one black parent and one white parent. Their narratives provide a fascinating and unique window into the borderland between “blackness” and “whiteness”, and, in some cases, explode fixed ideas about race and identity. When I was in my early 30s, I started making a list of every child I could think of who had a black parent and a white parent and was born between 1960 and the mid- to late 1980s. It was a collection of people like me, who grew up and came of age after the Supreme Court decision in 1967 that overturned the laws in more than a dozen states that outlawed interracial marriage. I was thinking of people I knew or had heard of, so of course the list included actors like Tracee Ellis Ross (born 1972) and Rashida Jones (1976); athletes like Derek Jeter (1974) and Jason Kidd (1973); singers like Mariah Carey (1969) and Alicia Keys (1981); and, eventually, politicians and public servants like Adrian Fenty (1970) and Ben Jealous (1973). It occurred to me, looking at the names I’d gathered, that what I was making was not just a snapshot of a particular generation but an accounting of some of the most notable, successful, widely recognized black people in American public life — cultural, political, intellectual, academic, athletic. 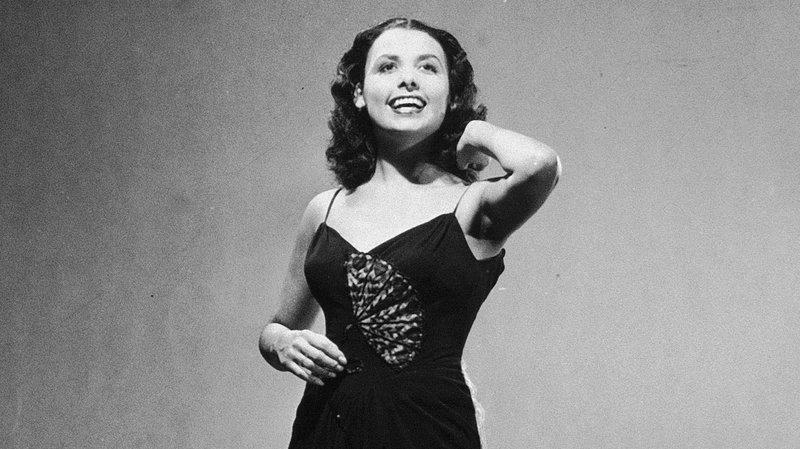 Lena Horne is remembered as an all-around entertainer, Hollywood actress, Grammy Award winning singer, and a Tony Award winning Broadway star. But equally important to her legacy was a willingness to use fame as a platform to promote Civil Rights in the 1960s. Horne’s daughter Gail Lumet Buckley believes her mother would be proud to be put alongside the other members of the USPS Black Heritage Stamp Series. Stamp photographer Christian Steiner, Horne’s daughter Gail Lumet Buckley (with family members), USPS Deputy Postmaster General Ronald Stroman, and WBGO President Amy Niles shared personal memories and stories during the Lena Horne stamp unveiling. Read the entire article here. Listen to the story (00:02:57) here. My whole life people have tried to tell me who I am or who I’m supposed to be. My whole life people have tried to measure my proximity to whiteness, always asking, WHAT ARE YOU? I’m Afro-Boricua. 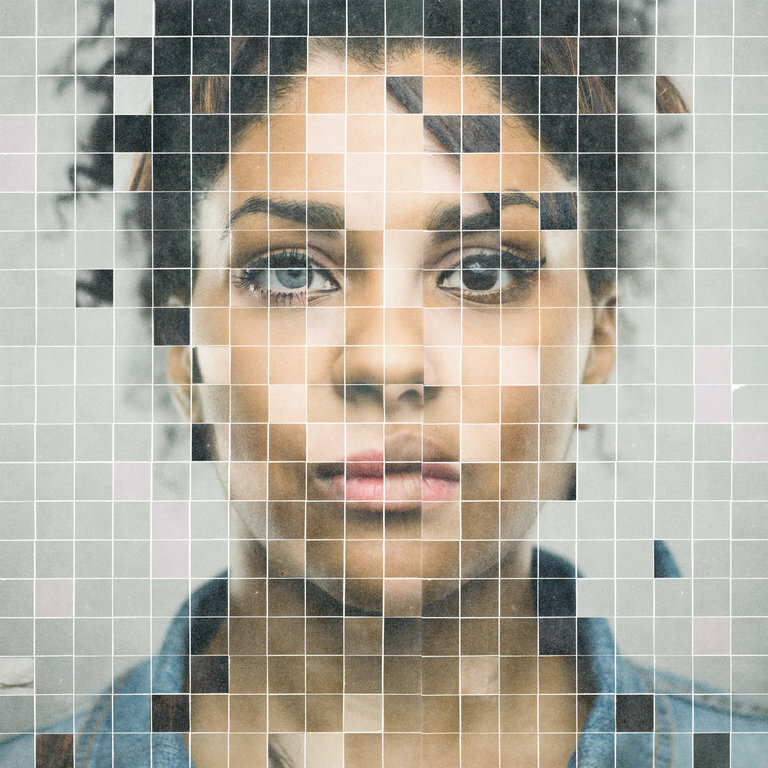 I’m biracial—my mother is white and my father is black, both Puerto Rican. Sometimes people don’t know that I’m black, but I’m black. I was raised in a black family, by my father and grandmother, both unapologetically black and unapologetically Boricua. My sister and I look brown, and our brother looks white. Our white grandmother was racist and threw around the n-word even when referring to us, me and my sister, her grandchildren. She made us feel like we were not part of her white family. But my brother, with his blond hair and his blue eyes, she loved to claim. Jaquira Díaz, “You Do Not Belong Here,” KR Online: Kenyon Review, September 2017. https://www.kenyonreview.org/kr-online-issue/resistance-change-survival/selections/jaquira-diaz-656342/. Comments Off on My whole life people have tried to tell me who I am or who I’m supposed to be. 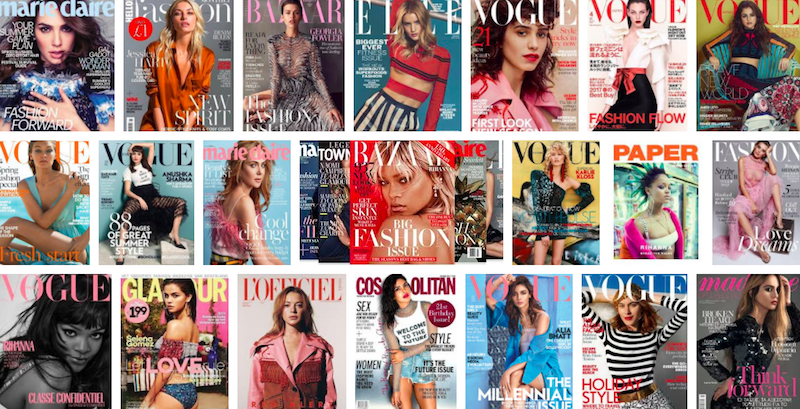 My whole life people have tried to measure my proximity to whiteness, always asking, WHAT ARE YOU? Simon Romero, “Indian Slavery Once Thrived in New Mexico. Latinos Are Finding Family Ties to It.” The New York Times, January 28, 2018. https://www.nytimes.com/2018/01/28/us/indian-slaves-genizaros.html.